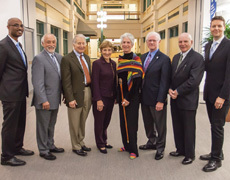 Dr Doug Zipes was recently honored by Dartmouth (Geisel) School of Medicine in their second Annual Alumni ceremony that took place last month for his outstanding career. He received the Distinguished Career Achievement Award from Dartmouth Medical School. Read more about all those honoured here.